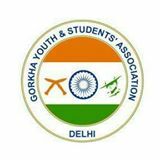 The Gorkha Youth And Students Association (GYASA) with an attempt to spare its community students from the perplexity on DU admissions is geared to set up a help desk in the varsity’s north and south campus, said a GYASA member. The assistance booth in the north campus will be set up on June 26, and on 29th June in the south campus. On these two days, the GYASA volunteers will assist students in their admission procedure and also accompany them to the campus if required, he informed.